Hector (not his real name) is an optimistic 16-year-old Latino at East High School who lives for basketball and says he uses the game as motivation for better grades and staying out of trouble. He works hard physically and mentally when it comes to preparing for a game. His pre-game ritual is an exercise in focus, narrowing down his world to a basketball in his hand and music in his ears. “I like to play music—pretty crazy music—and I just palm [the ball] around and get the sweat glands in my hands going,” Hector says. He applies a similar focus to basketball in general, ignoring, he says, the things kids in his neighborhood have told him about basketball at East. “Ever since I started playing basketball, all anyone has ever said to me is, ‘Don’t go to East and try out because you won’t make it,’” Hector says. He stopped listening to that and has focused on just being noticed for his game. While assistant coaches familiar with Hector acknowledge he’s had some trouble with petty crime and is working with a sometimes-difficult home situation, his game, they say, is incredible. Devin, also a pseudonym, is a former East basketball player, now graduated, also with a Hispanic background. He looks back on his playing career with frustration, even though he started it with as much enthusiasm as Hector has now. While Devin has not faced the challenges other players like Hector have, he says he felt East High School head basketball coach Steven “Skip” Lowe made up his mind about him from the very beginning. Devin came into his senior year at East having put on easily 10 pounds of muscle. He took a weight-lifting class and showed up an hour early to nearly every practice. He regularly ran laps around other players in practice, kept his mouth shut and didn’t goof off, according to one of his other coaches. Still, Devin spent his season largely sitting on the bench before he quit the team three-quarters through the season. Sour grapes from a jilted player? Maybe. But it’s not just students who worry that Lowe’s playbook favors some students at the expense of others. It’s a complaint shared by multiple coaches who have worked alongside Lowe in recent years. At the end of the 2011 season, two assistant coaches went so far as to suggest his favoritism was racially motivated. Assistant basketball coach Gianni Ellefsen heard Lowe say the team had fewer problems when it was “whiter”—a statement Lowe does not deny making but that he says was taken out of context. Lowe says he said things were “different” when the team was whiter. Handling criticism from disenchanted coaching assistants as well as players goes with the territory in high school coaching. The pressure to win is strong, with administrators champing at the bit for the school to win championships and “helicopter” parents second-guessing coaching decisions. 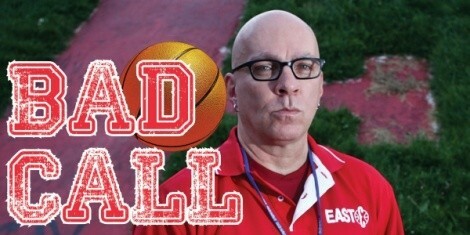 So, at East High School, where the varsity Leopards have yet to have a winning season in all of Lowe’s seven years coaching at the school, coaches and students who complain about the basketball program could simply be playing the blame game. Then again, the criticism could suggest something deeper, something more disturbing, such as a racial bias. When assistant coaches Terrence Lord and Gianni Ellefsen complained to the administration about Lowe’s racially charged comments and behavior, however, they would not even discover the results of a school investigation into the alleged bias. Ellefsen, who has previously written a sports blog for City Weekly, says he was fired in retaliation for complaining, and Lord—who is black—was so upset by the administration’s handling of the complaint that he quit and left the state. While East High sits among the foothills of Salt Lake City in the mostly affluent East Bench, it’s a school that also draws heavily from Salt Lake City’s low-income and heavily Latino-dominated Glendale neighborhood. East’s white students, 914 of them in the 2009-10 school year, made up slightly less than half of the student body, compared to 1,187 non-white students, according to the Utah State Office of Education. With more than 800 Latino students at East in 2010, former assistant coach John Willkom finds it amazing more Latino players aren’t on the team. In fact, according to Lowe’s own estimation, only nine Latino players have made the team since Lowe started as head coach in 2003. Willkom, whose hoops history includes playing college ball at Marquette University and promoting the Milwaukee Bucks before serving as assistant coach at East High for the 2009-10 season, describes East’s program as the “worst basketball situation” he’d experienced, due to Lowe’s leadership. He left after the 2009-10 season and now coaches youth basketball in Southern California. Lowe considers Willkom to have been “very good for the program.” But Willkom complains the program wasn’t good for him or for students at East. He says Lowe failed to connect with his players in a meaningful way. Willkom was discouraged hearing from Latinos that they didn’t believe they could make Lowe’s varsity team. “There was kind of a vibe there from the kids, like we’re telling them to work hard, and they just fire back at you that, ‘Even if I’m the best, I’m still not going to have a chance to be on the varsity team next year,’ ” Willkom says. Willkom would have dismissed the sentiment more easily if it weren’t for the comments Lowe made about Hector, whom Willkom considered to be the best player on his freshman team. “There may have been something to that effect said,” Lowe says of the comment, adding, however, that the context of the conversation likely would have been him suggesting to other coaches that if certain players like Hector could commit more to the program, he would work with them more in the future. 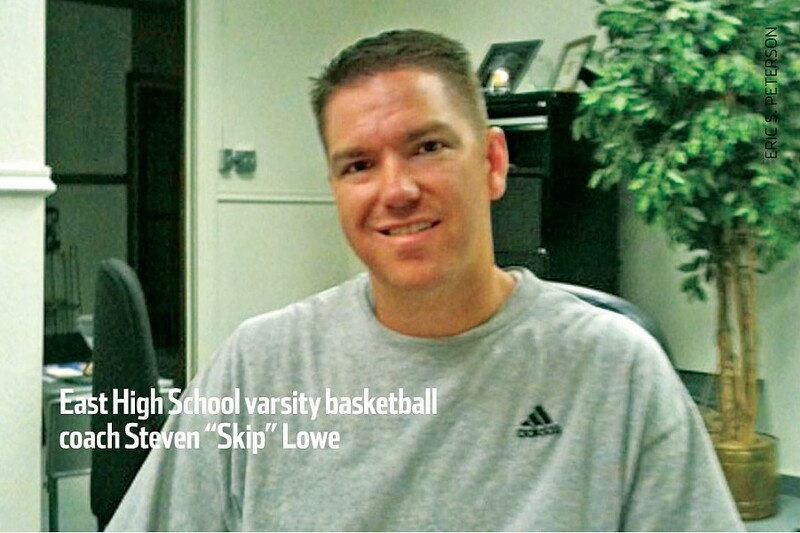 For being in his mid-30s, Skip Lowe seems to have aged little from the yearbook photos of his days playing basketball at East High in the late ’80s. Lowe transferred to the school in his junior year and says the diversity of East was striking compared to growing up in Sandy. It’s also part of the reason he’s stayed at East for the past 19 years, 17 of them in a coaching position. In 2003, he began as head basketball coach, working with all players but primarily coaching the junior-varsity and varsity-level teams. Not all students can make high school sports a priority. Latino students from the lower socio-economic spectrum and others may find the demands of the sport daunting—from the practices across town before and after school, expensive summer camps and the major time commitment. “If he was a true bigot, he wouldn’t make that investment in the kid. I haven’t seen any [other] coach help him, help his family and help the team,” the way Lowe did, Sagers says.